Green, it seems, is the new Red. The SNP, with their centre-left, populist, catch-all stance and mainly pragmatic approach to policy, have proven to be a formidable electoral force, and have provided a relatively sensible, effective and progressive Government for Scotland during the past seven years. On the whole, they are doing a good job,and if the referendum result is a YES they are well-placed to become the ‘natural party of government’ in Scotland. The Scottish Labour Party, meanwhile, has been reduced to a self-seeking, closed-minded, infighting, corrupt and lazy rabble, without ideas, principles, or purpose (sorry if I’m speaking from the heart here, but I’m telling it like it is, unfortunately). And this is a problem. Other than the Conservatives, who with their small but stubborn base of support are likely to remain a ‘third party, there is no intelligent, competent opposition. Without a good opposition to challenge the agenda, provide alternatives, and offer a sound choice to the electorate, even the best of governments is likely, over time, to become complacent and corrupt. Ben Wray, of the Reid Foundation (whose work has consistently impressed me), has argued recently that Scotland needs a new party of the left to carry on where Labour gave up. It seems to me, however, that such a party already exists, is already contributing to the Scottish policy agenda, and already had two members of the Scottish Parliament. I refer, of course, to the Scottish Green Party. In a previous post I laid out my criteria for a party that would get my vote. 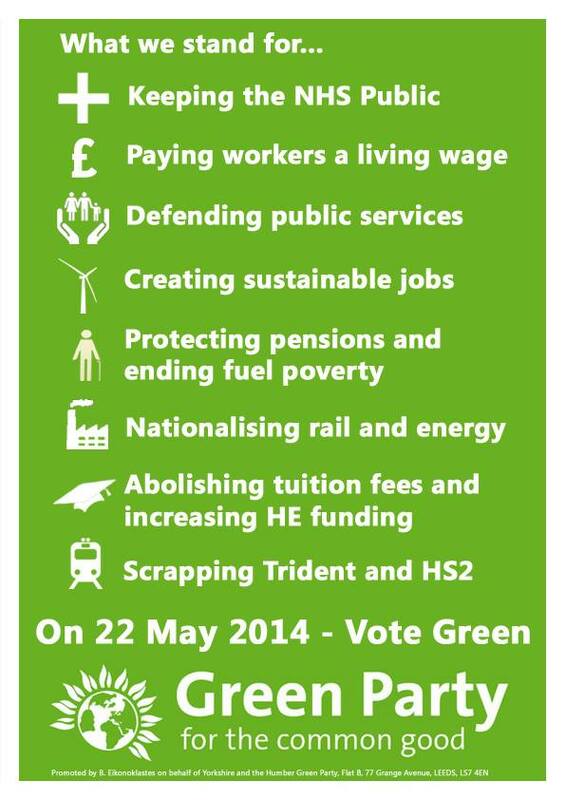 The Scottish Green Party fulfils most if not all of those criteria. The question is whether it can break out of its organic fair-trade latte drinking heartlands and win votes amongst those who would really benefit most from its policies: the alienated poor in Scotland’s grey concrete jungles. This blog was supposed to be about ‘radical theology, progressive politics, authentic culture and sustainable living’, but recently there has been too much about politics and religion, and not enough about culture and living. In particular, I’ve said almost nothing about my love of food and cooking, even though food is essential to life, good food is one of the great pleasures of life, and good food shared is one of the great joys of life. So, to rectify the omission, have a recipe. I served this for a small family gathering on Easter Sunday, and it was delicious. Serves 3-4. Take a large free range chicken. Remove the gizzards and stuff with halved lemons. Prepare a good thick mixture of salt, pepper, dried red espelette and a pinch of chilli with about 200ml of olive oil, and spread about half of it all over the chicken; keep the other half aside. Place it in a pre-heated oven dish, cover loosely with tin foil, and roast (at gas mark 7 for about an hour and a half, depending on the effectiveness of the oven and the size of the chicken – mine took closer to two hours). Meanwhile, make the sauce: take the rest of the salt, pepper, espelette and chilli mix and heat it in a frying pan; add chopped red onion, fry until browning; then add tomatoes, pour in some rough but well-bodied red wine (peasant wine) and a small amount of chicken stock, in roughly equal measure, and reduce. While this is reducing, chop and par-boil some potatoes until they are soft enough to pass a knife through the middle. When about half way through the cooking time of the chicken, put the potatoes into the oven dish around and under the chicken, making sure each potato is splashed and turned in the hot oil. Recover and put the whole back in the oven. Turn down the sauce, which should have by now finished reducing (it should not be ‘wet’). Pour yourself a glass of wine – but don’t sit down; now is the time to ‘clean as you go’. If you want to make a salad, now is the time to do it, although don’t dress it until the last minute. When the chicken is thoroughly cooked, remove from the oven and carve until only the carcass remains (set aside for soup / stock). Add all the meat back into the oven dish, with the potatoes, pour over the sauce, and stir. Put it back in the oven – perhaps turned off, but cooking in its own heat – to finish off while you set the table, dress the salad, cut the baguette, summon people to the table, light candles, and fill glasses. This should take around 10 to 15 minutes: long enough to let all the flavours mix deliciously. If you cannot find espelette, then at a pinch a mix of sweet and strong paprika will do – only, not really, because espelette – a special type of pepper unique to the Basque region of France and Spain – is what makes this dish so good. One thing that consistently confuses the debate on whether or not we are a ‘christian nation’ is a vague and slippery use – and sometimes downright duplicitous misuse – of terms. When bad things are done by Christians, many will be quick to say, “These were not TRUE Christians”. When it comes to defining the “in-crowd”, the rules are tight: you have to be a ‘born-again bible-believer’, or ‘have been baptised in the spirit’, or whatever particular definition of Christianity applies to a given group. We are told that ‘you cannot be a Christian without going to church’, and even then, the visible church is supposedly filled with hypocrites and backsliders. Straight is the gate, and narrow the way, and all that. But when it comes to claiming popular support for purposes of political or cultural influence, a simple tick in a box on a census form, which might have nothing much to do with genuine religious conviction and more to do with an inherited socio-cultural identity, is enough. It is seized as a sign that, after all, and to everyone’s surprise, the place is filled with Christians. We will not get anywhere in this discussion until we start being clear and consistent – and that involves separating ‘religion as socio-cultural identity’ from ‘religion as active conviction’. A majority might have christianity as part of their socio-cultural identity, but that doesn’t mean they are christians in the sense of active conviction; the latter are very much a minority, and probably have always been so. The heart of the problem is that many of the social conservatives who want to emphasise the role of Christianity as a socio-cultural identity do not possess active Christian conviction, and barely understand it – often by their own admission. Perhaps, if they did possess and understand it, they’d realise the inconsistency of their position, because of Way of Jesus is remarkably ill-suited to the purposes of socio-cultural conservatism – it began as a radical, revivalist sect at the margins of society, and has been utterly corrupted whenever it has been elevated to political power or social respectability. What is being offered by Cameron and Welby is not a return to the teachings of Jesus – it would terrify them – but a sort of establishment ‘churchianity’, where crown and mitre combine in the defense of traditional social hierarchies, economic inequalities, and British-imperial national identities.